The Noble Precision team takes considerable pride in our capabilities to provide solutions to the complex manufacturing needs and challenges of our clients. Whether asked to create a prototype, address a one-time precision manufacturing solution, or support high-capacity production needs, we fully recognize and respect the importance of providing process efficiencies, superior accuracy, on-time delivery, and high tolerances. 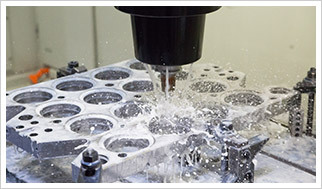 To assure that we deliver optimal performance and results in all of these parameters, Noble Precision is resolutely committed to an investment in state-of-the-art technology, including 5-axis simultaneous CNC machines and the latest in CAD/CAM software, therefore providing our clients with the most advanced and precise machining capabilities available. Metal removal has certainly advanced from the early days of manually-operated machinery. The proliferation of computer-controlled and multiple-axis technologies has revolutionized the metal machining industry, permitting the manufacture of parts and components that were once considered highly impractical from the perspectives of size,time, and cost. Noble Precision is also committed to expanding the spectrum of precision manufacturing solutions available to our clients. 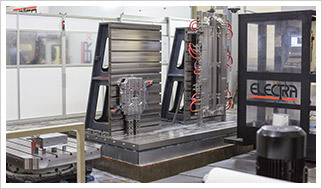 This should be readily apparent through our multi-million dollar expansion and investment in 5-axis simultaneous CNC machines to provide the highest-accuracy production of components or parts machined from aluminum, cast iron, steel, or other exotic metals.